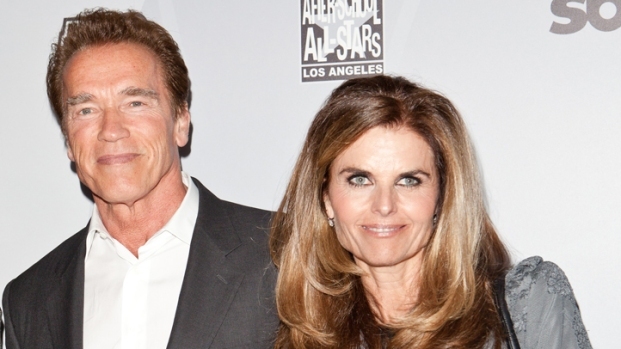 Arnold Schwarzenegger and Maria Shriver announced Monday night they have "amicably" separated. In a joint statement released Monday night the couple announced, "This has been a time of great personal and professional transition for each of us. After a great deal of thought, reflection, discussion, and prayer, we came to this decision together. At this time, we are living apart, while we work on the future of our relationship." However, they stressed that their children are still the priority. "We are continuing to parent our four children together. They are the light and the center of both of our lives. "We consider this a private matter, and neither we nor any of our friends or family will have further comment." As of Tuesday morning, neither star has tweeted about their separation. Schwarzenegger, a Republican, finished his seven-year run as governor in January and has been traveling the speech circuit and pursuing various entertainment projects. During Schwarzenegger's time as governor, Shriver and the couple's children never moved to Sacramento, preferring their secluded canyon estate in Los Angeles, a few miles from the Pacific Ocean. Shriver, a member of the Kennedy political dynasty and the daughter of the late Eunice Kennedy Shriver, left her job as an NBC reporter when Schwarzenegger took office. As the state's first lady, she ran an annual women's conference that attracted a long list of business, political and entertainment luminaries, along with an audience of thousands. The separation announcement comes months after the death of Shriver's father, Peace Corps founder and former vice presidential candidate Sargent Shriver, in January. Schwarzenegger's spokesman, Daniel Ketchell, said he wouldn't answer questions beyond what was said in Monday's statement. "We ask for compassion and respect from the media and the public," the statement concluded.